Since Nintendo’s lackluster presence at E3 2013, the Wii U has been fighting an uphill battle to gain third-party support from game developers. 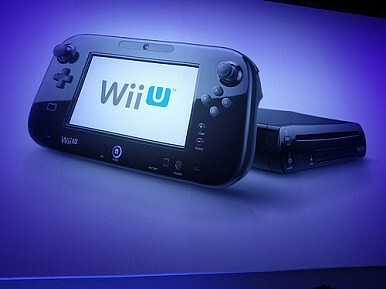 Following last month’s big video game expo, Ubisoft decided to reduce its plans for Wii U titles. Yves Guillemot, chairman and CEO of Ubisoft, told GamesIndustry International that his company’s exclusive ZombiU launch title failed to turn a profit – and thus won’t be getting a sequel. While the popular software publisher is still committed to porting upcoming titles such as Assassin’s Creed: Black Flag and Watch Dogs, Ubisoft also decided to make the previously Wii U-exclusive Rayman Legends available on PlayStation 3 and Xbox 360. Now EA’s chief operating officer, Peter Moore, is airing his own negative sentiment toward the shunned Wii U. “It's been a disappointment when you look at sell-through and, as a company, we have to be very judicious where we deploy our resources,” he said in the GamesIndustry International report. While rival platforms increasingly utilize the Internet for multi-player and cooperative gaming, Wii U struggles to get players online in the first place. EA’s popular American Football franchise Madden won’t be coming to Wii U this year, partly due to Wii U’s “offline” nature. Looking ahead to the 2013 holiday season, the gaming industry’s collective eyes will certainly be on Nintendo to see if Mario and company can keep the Wii U afloat.